This sounds right up my alley! Please tell us a little about yourself and what made you decide to finally push the publish button? So, the first book I ever wrote was Stellix (later retitled Conspiracy Unleashed). I had left my job as a news producer, and even though the style of writing was entirely different, there was a part of me that just needed to write. As for what led me to publishing, I’d chalk it up to an uncharacteristic amount of courage. Beta readers enjoyed the story, and I told myself that if they liked it, others would, too. A successful indie author graciously offered her time to advise me about self-publishing, and the rest is history. 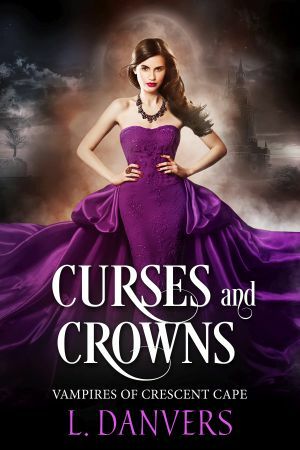 Curses and Crowns is a vampire romance while in the past you’ve written fantasy and sci-fi. 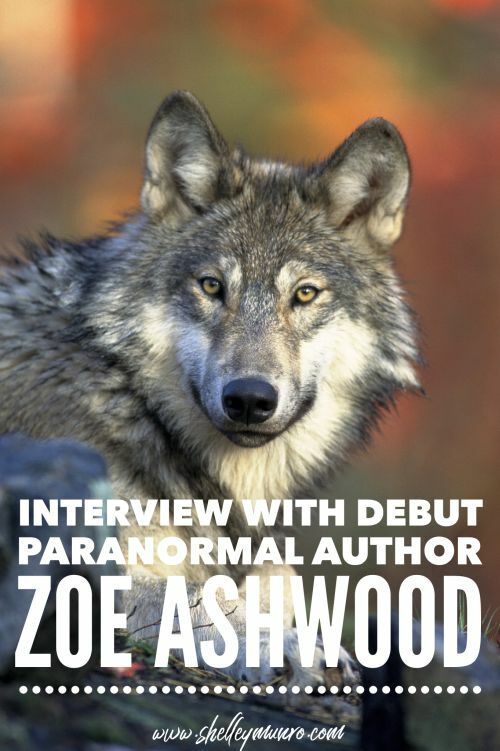 Why did you venture into paranormal romance? Funny enough, it started with me watching The Vampire Diaries on Netflix. I am one of the few millennial girls who didn’t read Twilight as a teen, so I never got into the whole vampire craze. But last year, I decided to give The Vampire Diaries a shot, and I realized I’d missed out on a fascinating genre. I read a bunch of vampire romance and urban fantasy books and realized just how much I loved the stories. An idea quickly came to me, and it has been an absolute blast to write in this new genre. Your vampires sound gritty and dangerous. What is it like to be a vampire in the world you’ve built in Curses and Crowns? Now, there are various vampire kingdoms presently veiled from the human world. But in Crescent Cape, where the story takes place, there is a blood slave village where humans offer weekly blood donations so that the vampires have access to a consistent food source. However, the vampires are permitted to venture out on hunts in the mountains beyond the boundary. Meanwhile, Prince Aiden, one of the most menacing vampires when on the “real stuff,” has given up human blood entirely and only drinks artificial blood crafted for him by a witch from a local coven. Add in three vampire siblings, an older brother who’s an immortal werewolf and a tempting human who has an unusual hold over the prince, and we have one heck of a wild story. Having said all of that, though, my books are YA-friendly. So while the vampires are dangerous, the story is not gory and does not go into unnecessary detail. The genres you’ve chosen to write all require lots of worldbuilding. What is your favorite thing about building a world for your characters? Honestly, I do a lot of the worldbuilding as I go. I love discovering the world I’m creating as I’m writing it. 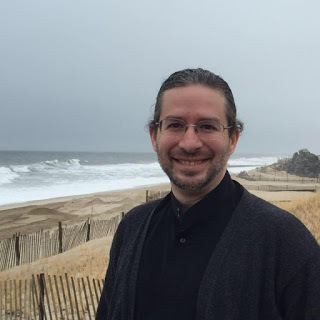 My stories are fairly fast-paced and full of action because that’s what I enjoy as a reader. But, of course, the rules of the world the characters live in play an important part in what drives them. If you could spend a day with a fictional character and decide what to do, who would you choose and where would you take him or her? Oh my goodness. That’s a hard question! I’m going to have to go with Doctor Who on this one (preferably as played by David Tennant) because he could take me ANYWHERE in time or space. I’d let him surprise me! I understand you have a free story called Blood Heirs, which is the prequel to Vampires of Crescent Cape. How do readers get their hands on this? What is the best place for readers to learn more about you and your upcoming releases? They can join my Readers’ Group at www.ldanvers.com/subscribe. They’re also welcome to join my fiction and fandom Facebook group, Gather with L. Danvers. 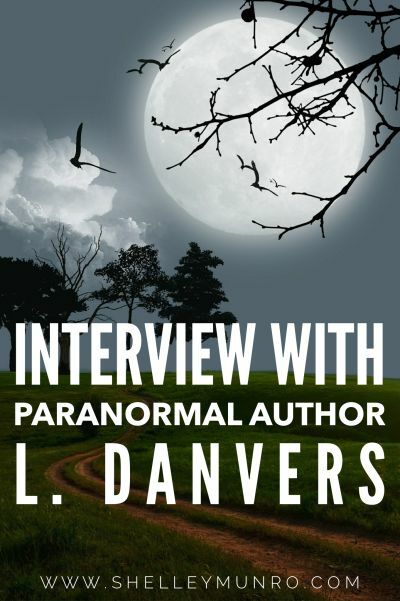 L. Danvers is the author of YA-friendly paranormal romance, fantasy and science fiction. She writes what she likes to read, so her books include memorable characters, tons of action and are real page-turners. And, of course, there’s plenty of romance in there, too! Readers, here is the blurb for CURSES AND CROWNS. Check it out today. Today I’d like to welcome paranormal author Nicki Ruth. According to Nicki, she is a romantic at heart who loves a bit of history, a splash of adventure, and all things paranormal. She enjoys stories about vampires, werewolves, and other shifters, with a healthy dose of romance. 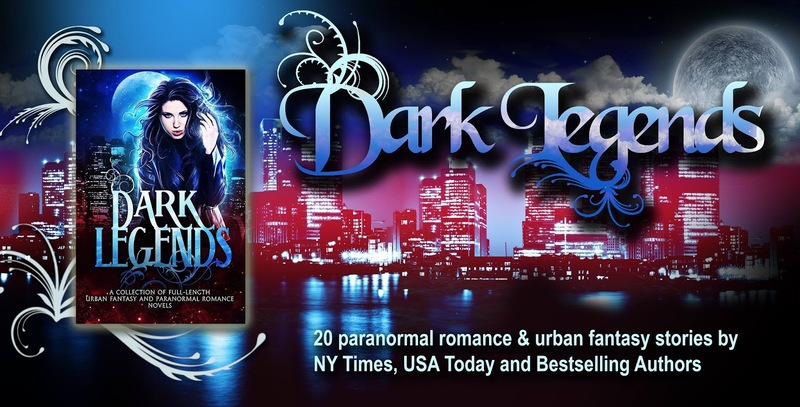 Her first book, Dark Blooded Desires, started as a dream and ended as a dream come true. She is currently writing on her balcony that overlooks a parking lot. Nicki, hello and welcome. Please tell us a little about yourself and how you started writing. Then 2018 came and took a pretty bad turn. I hated my job, my relationship imploded, and along with an emotional medical issue, I was incredibly overwhelmed. But I continued to write and it was my best therapy. It turns out that writing is my escape from the world and a major stress reliever. Now I want to provide an escape for my readers as well. 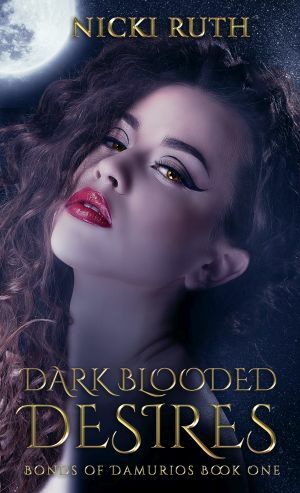 Dark Blooded Desires is the first book in the Bonds of Damurios Series. I scooped this next bit from your blurb: “Debut author Nicki Ruth weaves an action-packed vampire thriller that mixes blood, magic, and sizzling romance set in a new futuristic fantasy world.” By the sounds of this, you’ve twisted and woven several genres together, which I love as a reader. What was the spark behind your story? I love dabbling in all types of myth and lore. You’ll often find me glued to the history or discovery channel with my own “what if” scenarios. But I wanted to go in another direction from typical vampire lore for my story. I started with Babylonian history which I briefly sampled. Many have asked, but aren’t vampires supposed to be cold, aren’t they dead. Well mostly. In my world, they have their own “blood” planet similar to our “water” planet, Earth. I kept their immortal, non-aging life and supernatural ability since that’s the best part of being a vampire (right?). But I really start borrowing from Hindu and Japanese mythology, as well as my unique twist on the ‘genie in the bottle’ lore in book 2. As the series progress, I’ll also be throwing some gods into the mix so it’s going to be fun! Vampires! What is it about vampires that made you want to include them in your writing? What’s the attraction? What’s NOT to love about vampires! They’re my absolute vampire paranormal species. When I was a child I fell in love with Bram Stokers’, Dracula (the movie), and was heartbroken when (SPOILER ALERT!) he died. I wondered why Dracula couldn’t have his love? And what if he survived and had his happy ever after? I prefer the True Blood type of vampires than the Twilight types, and I keep that theme in my books. My vampires are not afraid to shed blood and can be quiet ruthless. Who doesn’t love a vampire who would do anything for his/her love? 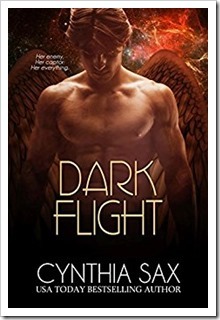 What sort of research did you do during the writing of Dark Blooded Desires? I researched a good bit of mythology from Greek to Hindu to Aztec. This was no burden for me as I love history. But it does take up a lot of time. I once spent three hours researching male Babylonian names. Three hours! I also rewatched Star Trek (the Chris Pine version) to re-familiarize myself with some futuristic concepts. This too was also no burden since I’m a Trekkie. I already read a lot of vampire stories, so I knew what I wanted to do with my vampires. Who is your favorite fictional vampire and why? OMG. Just one? I mentioned Bram Stoker’s Dracula, but for books I loved Kresley Cole’s Lothaire; Xadist from JR Ward’s BDB, and Eric from True Blood. As you can tell if you’re familiar with these characters are very flawed and can get a bit bloody. LOL. I understand you have a free prequel to Dark Blooded Desires. How do readers get their hands on this? These days it would be social media. I’m usually active on Instagram and Facebook and tend to post updates there first. I’ve also had a couple of readers email me directly, and I was glad to answer their questions. Thanks so much for visiting today, Nicki! He was just a ruthless vampire out for vengeance. Until her. Alone, asleep, and adrift. That’s how Alexios finds the woman he takes aboard his ship. But she’s not all she seems. Her face is a reminder of a past he’d long tried to forget. A reminder of his failure to save those he’d sworn to protect. But he’s on a mission to find and kill his sire for years of torment. He can’t allow the beautiful creature to distract him from his centuries-long vendetta. Even though her teasing smiles and taste of her blood lights his body afire. She hungers for blood, and him. Davina, if that’s even her name, wakes up having no clue of who she is. All she knows is that dreams of fire, blood, and destruction stalk her waking moments. Something sinister churns within but she refuses to succumb to its dark desires. Only Alexios, the handsome vampire Captain, calms the roiling waves of her urges and kindles her passion. The answers are closer than they think. When Davina loses control, it becomes imperative Alexios help her control the darkness within. But ancient forces plot to destroy them both and time is running out. Will they solve the mystery of who she truly is and stop her from becoming the monster she fears? Or will the world be ruled by her dark blooded desires? First in the Bonds of Damurios Series, debut author Nicki Ruth, weaves an action-packed vampire thriller that mixes blood, magic, and sizzling romance set in a new futuristic fantasy world. Fifty-two weeks, four royal families, one war. Rose (The Two of Clubs) is the youngest of all the Royals of Vanatus, and she has a lot to prove. Born a princess, but with the heart of a warrior, she struggles to keep her two lives separate. By day, a perfect princess, but in the dark of night, she slips out to practice being all she ever wanted to be, a warrior like her brothers. When a dragon kidnaps some children from the royal castle, she must act quickly, but the snap decision sets off a chain of events that lead to the first war in the history of Vanatus, spelling disaster for both her and her family. Follow the lives and loves of the fifty-two members of The Houses of Club, Heart, Diamond and Spade in real time as they struggle to maintain peace in the world of Vanatus. This is a New Adult fantasy series set over the course of one whole year. This particular book is the first in the series and is set over the first week from New Year’s Day to 7th January from the eyes of Rose Club. Each book in the series will be shown through the eyes of a different character, all within the world of Vanatus. Each book can be read as a standalone book (no cliffhangers), but the overall arc of the war will play in the background throughout. Hi, I’m so excited to be amongst some amazing authors in this box set. It’s like finding myself at a party with Tori Amos providing the music, Jamie Oliver cooking the food, Stephen Fry sat at one side and Jack Black on the other. How long have you been a writer and how did you come to writing? I first hit the publish button in January 2014 but I’d spent a whole year writing my first book before that. Nowadays I write much more quickly but back then it was a slow process. It probably didn’t help that I was single parenting two very young children and being a surrogate for a friend. It was a lonely time so I wrote when the kids went to bed. My life is pretty great now and I’ve brought my writing with me into the good times. How did you come up with this storyline? I’ve always loved fantasy so it was a no brainer that I’d write fantasy sooner or later. This particular story came to me as more of a concept than a story later. It occurred to me that there are 52 weeks in a year and 52 cards in a pack. One card for each week. I then thought that it would be pretty cool to write a story about the cards. In my book the cards are Royals. This book follows the Two of Clubs as she accidentally starts a war between the four ruling families, The Clubs, The Hearts, The Diamonds and The Spades. Each book is written as a different member of each family. Each book is a stand alone but they follow the arc of the war as it unfolds. Each book has seven chapters – one for each day of the week. Eventually, I hope to have 365 chapters over 52 books! What are the best and the worst aspects of writing? I love writing. I wasn’t much of a writer as a child but I was a voracious reader. I read to escape reality. I write for the same reason but I get to chose what direction the characters go in. The worst part for me is the lack of time. I want to write more and more and more! What inspires you to write? Nothing inspires me to write as such. I just have stories rattling around in my head all the time, fighting to get out! How did you conduct your research for The Two of Clubs (War and Suits book1)? 30 years of reading other author’s work. As it’s a fantasy, I’ve made up a lot of stuff. You’ll meet new creatures and new food and new customs amongst other things. This is my favourite bit: ~ “She’s a Heart!” I stated the obvious, knowing that Tarragon was fully aware that she was a Heart, and that was more than likely the reason he’d bedded her in the first place. ~ “Isn’t this whole party thing to get the clans together so we can cooperate and live in a peaceful land? This is why we all come together at this time of year.” He gave that leisurely grin that women of all races seemed to fall for. It wasn’t going to work on me, though. I was mad! ~ “Yes, but I don’t think that you are supposed to come together quite so literally!” “Or quite so many times,” grinned Tarragon. More Favorites from Two of Clubs: The Heart District is awesome in a steampunky kind of way – I’m not saying any more – You’ll just have to read it. Are reader reviews important to you? My reviews keep me going. It’s amazing just how much some nice words from a complete stranger can pick me up for the rest of the day. They inspire me to keep going. What do you do when you don’t write? I’m a graphic designer and wedding photographer as well as a mother. I also renovate houses. My favourite hobby is sleep lol! Tell us about your other books? I have a Paranormal Romance series called Guardians of The Light which begins with a girl in a locked room. Her biggest problem isn’t the door, it’s what lies beyond. Talking of locked doors, my next series (The Labyrinthians) features plenty of them in the form of an underground maze with danger lurking around every corner. Finally, I’ve started a Cozy Mystery series (Murder at The Bite Cafe) which I hope to write book 2 in next year once I’ve written the first twelve of The Clubs stories. If you could share one thing about yourself that you would like readers to know what would it be? I love getting emails oh and I’ve crush on Jack Black…shhh, don’t tell everyone! Thanks for reading. I hope you enjoy the book. If you sign up to my mailing list, I’ll let you know about an exclusive competition I’ll be running throughout the whole series of War and Suits books. Born in a small town, J. Armitage longed for adventure and travel. Age 20 she moved to Dublin, then to San Diego, then Sydney and back to California where she did a brief stint working at Universal Studios being a minder to Sponge Bob. Once back in Britain she got married, had babies and decided to write about the adventure she was now missing out on. She works full time, is a mum to three kids and has had a surrogate baby. She has skydived twice (and survived), climbed Kilimanjaro and hiked to the bottom of the Grand Canyon. She has also worked as a professional clown and banana picker amongst other jobs. Somehow she finds time to write. J. Amitage’s second book, Infinite Spring, was nominated for a iFestival of Reading Award. By Darkness Revealed is close to my heart, because it’s personal. I went to Norwich University as a cadet – that’s the well I drew from to paint a good picture of cadet life for the protagonist. Obviously the ‘Northshield University’ in the story is a fictional place, but much of the feel I captured in the story was drawn from the real college. As for the storyline itself? Again, a lot of it is drawn from reality. No, people were not actually slinging bolts of magical energy around campus (not that I was aware of, anyway! ), but the real world Norwich is an unusual place with all sorts of magical legends and tales. I cheated. I do this often. Writers have two choices when it comes to research. They can set a story someplace they have never been, in a land or culture they don’t know at all – and then have to research the heck out of it. Or we can write a story set someplace we either know really well, or which we are making up entirely. Or both. For this book I did both. I set the book at a fictional university in a fictional town, and then painted the fictional place with real-world experiences from a similar place. So, I cheated. No research. Zip. This is how I write most of my books, actually. Is this a trick question? *chuckle* If I say no, then I encourage no one to ever review me. If I say yes, then I am paying too much attention to them… I read every review of every book I have out. I listen for comments about what people liked, and what they did not. I strive to use my reviews as a tool to grow and learn from. I do not generally respond to reviews directly, but rest assured I read them all. Even the harsh ones! Because there is certainly something to learn there as well, even if the lesson was simply that *that* book did not reach *that* reader in a pleasing manner. As writers, when we stop learning and growing and improving, it’s time to hang up the keyboard. Reviews are one such tool for growth. What is this “don’t write” thing of which you speak? *laugh* I write almost every day. I’ll cross half a million words of new fiction this year. A little secret? (Whispers:) I’m shooting for a million next year! I love taking long walks through Boston with my fiancee as well. It’s not unusual for us to walk five miles on a nice day, sometimes as much as ten. Just exploring, seeing the city, the people, the places. Boston is always in a constant process of endless change. It’s fascinating. I fight with swords – steel and rattan alike. In armor, thanks. It’s my current martial art; I’ve done a few other martial arts in the past, but lately I am finding it harder to keep even this one up. I spend time with my children, who are growing bigger and older each year. I want to make as many memories with them as I can, so I will have things to cherish as they outgrow their youth, although hopefully not their childhood. I’ve also written a few science fiction books – four so far in the “Adventures of the Starship Satori” series, and two in the “Accord” series – "Accord of Honor" and "Accord of Mars”. I tend to write science fiction set in the near future, using technology and society just beyond where we are today. “Over the Moon” is a science fiction romance which could take place just five years or so from now. Perhaps ten. C.S. Lewis once said “Since it is so likely that (children) will meet cruel enemies, let them at least have heard of brave knights and heroic courage. Otherwise you are making their destiny not brighter but darker.” I believe that same sentiment applies equally to grownups. We hear so much about the darkness of the world, these days. We read about the cruel. We see videos of the unjust. We are deluged with stories of the most horrific elements of human nature. But that is *not* all that humanity is and can be. I write stories about people who have failings, and make mistakes. Yet at the end of the day they strive to overcome those things and act in a heroic manner. To show the best part of what it is to be human. My heroes are there to shine light on our better natures, and to give us all hope that we can be better than we are. When not practicing hobbies which include sailing, constructing medieval armor, and swinging swords at his friends, Kevin McLaughlin can usually be found in his Boston home. Kevin’s award-winning short fiction is now available in digital form at all major ebook retailers. His urban fantasies “By Darkness Revealed” and “Ashes Ascendant” are available in ebook and print. His latest stories, the “Adventures of the Starship Satori" and "Accord" science fiction novels are ongoing. Hey, Monica! How long have you been a writer and how did you come to writing? I started writing when I was a little girl but didn’t start actively writing looking to publish until my early 20’s. Almost six years now. How did you come up with this storyline? Well, like a lot of my stories I get the main idea from a dream. But, it was after I watched a movie about time…and how people’s timers were on their arms. That gave me the idea for the souls to add into the world I had already built around the dream. What are the best and the worst aspects of writing? The best is interacting with readers. I love hearing about books and how much they loved my work. Most of the time I assume I write books and no one ever reads them. It’s nice when someone proves me wrong. The worst aspect is marketing. It’s not something I have gotten figured out. It doesn’t help that I’m awkward as hell though. What inspires you to write? Lots of things can inspire me to write. Most of the time is a book, or movie, or watching a show about a character who has reaching their goals…it makes me want to push toward my own. How did you conduct your research for Soulless? I mostly had to do a lot of research on the Catholic Church which was both frightening and fascinating. What are 3 of your favorite quotes from Soulless? ~ “He watched as she pulled her unruly mane up into a messy bun on top of her head. Every time he saw her do it, he couldn’t help but think it was a move specifically designed by women to turn men on.” ~ “I’m going to pout now because I wasted a perfectly beautiful dress on such a craptastic night…” ~ “If heaven and hell could merge it would live in such a moment." What would your friends say is your best quality? Oh man…probably my loyalty. I am devoted to those I care about and would give them anything in my power, including a kidney, to help them. Are reader reviews important to you? Um…I will say they aren’t important to ME but they are important. I think when a book is done it is no longer the writer’s…it belongs to the reader, as do reviews. Those reviews aren’t for me, or about me, they are for the reader. What do you do when you don’t write? Uh read, a lot. I also fix typewriters. I know, I’m a dork. Tell us about your other books? 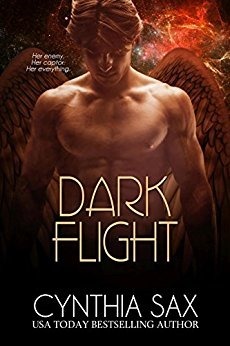 I write mainly paranormal romance with strong heroines and unique worlds. My other series, Revelations, centers around female four horseman of the apocalypse. If you could share one thing about yourself that you would like readers to know what would it be? I adore you. Even if you hate my work I thank you for giving that time to read it. Thank you for giving it, and me, a chance. Be a LEGEND. Get your copy now! Autumn and her boyfriend were on the outs. After six months together, he’d decided they weren’t compatible. Determined to prove him wrong, she agrees to go hiking one October weekend. While she pictured a romantic stroll around the lake, he booked them a grueling weekend in Yellowstone, where he promptly humiliated her, dumped her, and left her all alone in the wilderness. Yet again, she’d fallen for a guy who treated her like a project. All she wanted was love and acceptance. By the time Autumn dried her tears, snowflakes covered the trail, darkness had fallen, and her demise appeared imminent. Ronan Cormac had some decisions to make. Though he’d become one of the most sought after agents in Hollywood, years of superficial relationships had worn him down, making him long for a meaningful connection. 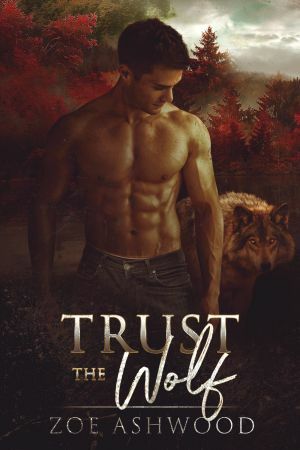 In other words, the wolf shifter was ready for a mate and LA made it impossible for him to find one. When his sister called him home for a family emergency, Ronan rushed back to Yellowstone. In order to save the Druids, his pack, he’d have to find a mate and become the Alpha before the Blood Moon. Hullo! Care for a spot of tea? Sorry, I’ve been watching a lot of Penny Dreadful on Netflix in preparation for my next series. Okay. Never mind. I watch it because it’s dark and different and every once in awhile I need some downtime. Well, I first published in June of 2013. Inspired by the success of Fifty Shades of Grey, I wrote the naughtiest story I could think up. Sin at Sea spawned The Sinful Series, and I was hooked on the whole process. How did you come up with this storyline? While scrolling through Facebook one day, there was a video about wolves returning to Yellowstone. The wheels started turning. What if they weren’t really wolves, but wolf shifters who saved the park? The Druids were born. What are the best and the worst aspects of writing? I love coming up with the story ideas. The hardest part is working through all the plot holes to make the story work. I have to. Seriously. If I take too much time off from writing, I feel it. Writing keeps me balanced. It has become part of my identity. Some people exercise, I write. If I didn’t write, I’d eat more. No one wants that. How did you conduct your research for Blood Moon? I watched videos, I surfed the net. Good times. What would your friends say is your best quality? My sense of adventure. Okay…I love to travel. Is that the same thing? Reviews are everything. 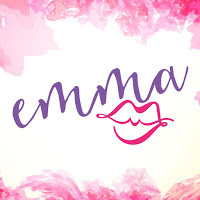 I’m lucky to have built a really wonderful tribe named Emma’s Elite. I share a FREE book every week. They read and review. I recently published a book they helped create through a series of polls. I’m all about some travel. I prefer cruises, which is why my first book was set on a cruise ship and the rest of the series were all destination romances. In fact, I’m eyeing a 10-day cruise in May. As of today, I have four series and five standalones. They’re a variety of genres, like romantic comedy, romantic suspense, paranormal, and contemporary romance. The settings vary, although most of my recent stuff is set in Charlotte, North Carolina, where I live, and the surrounding areas. I write about whatever interests me at the time and try to create characters readers can relate to. Chocolate should be a food group. White chocolate is blasphemy. My life should have more wine in it. Thank you for hanging out with me today. I usually have these conversations over sushi, so I’m going to go get some now. No reason for both of us to miss out. Have a wonderful day! 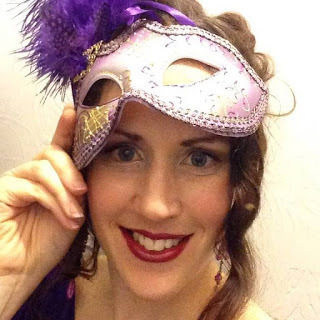 What made her decide to be an romance author? Simple. How else was she going to parlay her two favorite past times into a career? Emma is single and loving it. Like her first character, Alysin, Sin for short, she doesn’t believe in settling or in settling down. She loves to indulge in her passions whenever the mood strikes and enjoys keeping all of life’s cliche moments spicy. How long have you been a writer and how did you come to writing? I’ve always been obsessed with books, but I didn’t write my first complete novel until about five years ago. I couldn’t find a book to read, so I got this crazy idea—why not try to write my own story? It was harder than I thought, but I fell in love with the idea of being able to control the outcome of a story. It felt like reading, only I got to decide what happened next. I never expected to get a publishing contract, but once I did, there was no going back. I was hooked! How did you come up with this storyline for Midnight Moss? This story combines several ideas that have been rolling around in my head for a while. As a child, there was this section of our neighborhood that was mysteriously fenced off, so that’s where the “mysterious fence” comes into play. I also love the idea of old houses and magic keys, so I was able to use that in the story as well. I usually write horror and dark fiction, but I have a serious love for fantasy and paranormal stories, so this book was so much fun to write. What are the best and the worst aspects of writing? The best thing about writing is it’s like a drug for me. When I do it, I feel better. And as soon as I’m finished with one book, I’m ready to go looking for my next story idea, or “fix”. I can see that as being a good and bad thing. I get obsessed with a story while I’m writing, and I work on it compulsively. So, it can be a pretty exhausting process for me. What inspires you to write? Everything! Most writers will tell you that everything we see/hear/feel gets stored away in our memory banks to use later for our books. I like to write about serious social issues, but I also enjoy the escape of a magical story and light fun. What would your friends say is your best quality? I commit to things and do them all the way. I’m also loyal and I have a good memory, so I usually remember birthdays and old stories LOL. Are reader reviews important to you? I love when someone tells me that one of my books affected them, or made their day a little brighter. But I try not to get upset over bad reviews, and I don’t change my stories based on what readers want. I just write what I want to write, and hope that people will like it. But if not, that’s their choice. As a book lover myself, I know that some books everyone claims to love aren’t my favorite. I know I can’t be everyone’s favorite all of the time, and I’m okay with that. What do you do when you don’t write? I read A LOT. I prefer paperbacks and I always—ALWAYS—have a book with me everywhere I go. I can’t remember the last time I didn’t fall asleep with a book on my chest. Tell us about your other books? The Flocksdale Files is a dark trilogy about a twisted town filled with the worst kind of monsters—the humankind. The Horror High series is a three-book series about a creepy school nicknamed “Horror High” where the cheerleaders are constantly being taunted by an unknown “sociopath.” My other books are women’s fiction, mystery, and paranormal. If you could share one thing about yourself that you would like readers to know what would it be? I would just tell them thank you. The fact that they took the time to read my book makes my heart soar, and means more to me than I could put into words. Hello readers! 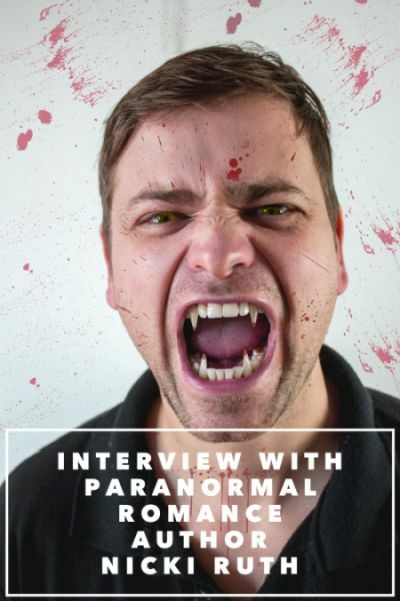 I’m a paranormal thriller author from Perth, Western Australia (yes, I have a funny accent) and I’m so excited to be involved in the Dark Legends boxed set. There are so many amazing authors in this project, I can’t wait to unleash it upon the world! Welcome, Anna! How long have you been a writer and how did you come to writing? When I was a child I wanted to be an author, but as I grew up society somehow managed to convince me it wasn’t a good career choice. So when I left high-school, I studied nursing instead but as soon as I started working in that field, a deep sense of dissatisfaction stirred in me. Something was missing and that sense of being lost led me to my first novel. The more I wrote, the happier I became and I haven’t looked back since. Now my motto is: if you can’t do it with passion, don’t do it at all! How did you come up with this story line? Shadows are constantly used to represent fear of the unknown in an audience, whether it be via movies, music or performance. I felt drawn to them because they can evoke such powerful emotions. I wanted to work on something dark and mysterious but not just to scare, rather to use as a contrast for the light. I thought, what if there was a good reason to fear your own shadow? What if it was the gateway to a sinister new world? The idea would leave my protagonist completely powerless, because no matter how fast she ran or how hard she tried to escape it, her shadow would always be one step behind her. I wanted to take her to the very edge of her survival ability, then give her the strength to overcome it. Because that’s what we all do in life, we fight to survive the bad things that happen to us. What are the best and the worst aspects of writing? Writing a book is one of the hardest things I’ve ever done and that never seems to change, whether it’s my first or my sixth novel. Because every book is different and they can’t be written the same way. Some days it really does feel as though every minute is just one tiny step in an impossible journey. But although it can be torturous, that is exactly the same thing that makes it so incredibly rewarding! It’s not worth winning if you don’t have to fight for it. All the frustration, long nights and aching neck muscles make the words ‘The End’ feel like such a victory. It’s within the struggle that there’s glory! What inspires you to write? I’ve always been in love with dark concepts of ghosts, witches, magic and demons. I want to believe the supernatural exists in our world, even though we can’t see it. Writing books is the best way for me to find myself in their world. It truly is like living multiple lives at once. And I find the more I write, the more I learn about myself. It’s a way to digest the things that are happening in my life. Things that make me happy, things that break my heart and things that inspire me to be a better person. How did you conduct your research for Beyond the Shadows? I had so much fun researching for Beyond the Shadows! I used a combination of Google searches and library books. My favourite was an SAS survival guide. So if the zombie apocalypse comes, you want to be with me. I know all about how to find food in the wilderness! Are reader reviews important to you? Reader reviews are so important to me. When you think about it, creative jobs are one of the few career choices where you don’t have a boss telling you how well you’re performing. I rely on readers to be honest in their feedback because it helps me learn and grow as a writer. What do you do when you don’t write? I love picnics with my boyfriend, BBQs with friends and we have the most beautiful beaches in Western Australia so I love being there too. I also love love love yoga. It’s been a part of my life for many years now and I find it keeps me balanced both in mind and body. And of course, I love reading in the bath! Tell us about your other books? Beyond the Shadows is the first book in a four part series, The Shadow Series. I also have a standalone paranormal thriller about ghosts, called The Ninth Hunter. And at the moment, I’m working on a YA novel about grim reapers. One thing you’re sure to find in all my books is a unique take on mythology or a completely new concept all together. I love to explore uncharted ideas, although it can be torturous to edit, it’s totally worth it. Readers often comment on the depth of imagination that goes into my world building, and it’s so much fun to write! If you could share one thing about yourself that you would like readers to know what would it be? I already mentioned this in one of my earlier answers but I love to preach passion. I live my life by this concept but I think we should all find something we can fall madly in love with. Whether it be cooking, sport, reading, painting, whatever! Find something that makes your heart sing and give time to it. The riches of happiness are far greater than anything else. I absolutely love meeting new readers and fans of the fantasy/paranormal genres so we can share book recommendations. So don’t be shy, come and find me through the social media links! 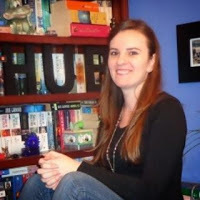 Anna Hub is a paranormal/thriller author from Perth, Western Australia. She qualified as a nurse in her early twenties but in 2007, decided to chase her childhood dream of becoming an author instead. 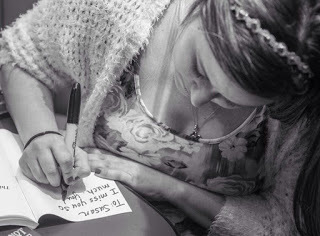 Since then, she has surrendered her heart and soul to writing. Although terrified of horror movies, Anna loves to write on the dark side and explore uncharted mythologies. She believes our imaginations are infinite and inside the pages of a book, there is no limit, no exact destination and our minds are free to exist in many worlds.